By the early 80s, spanning from The Seventh Voyage of Sinbad to The Brothers Lionheart, there was an ostensible lack of iconic dragon villains in motion pictures. Audiences had yet to see an imposing, fire-breathing villain. That was the objective Hal Barwood and Matthew Robbins set for themselves: they wanted to create a memorable, formidable dragon using the most advanced among the available technologies. The duo thus embarked in the quest of bringing to the silver screen a monster audiences would never forget. The pitch for Dragonslayer dates back to 1979. After a failed casting attempt for an unrelated romantic comedy project, the duo decided to focus on another kind of film — a special effects-centered one. 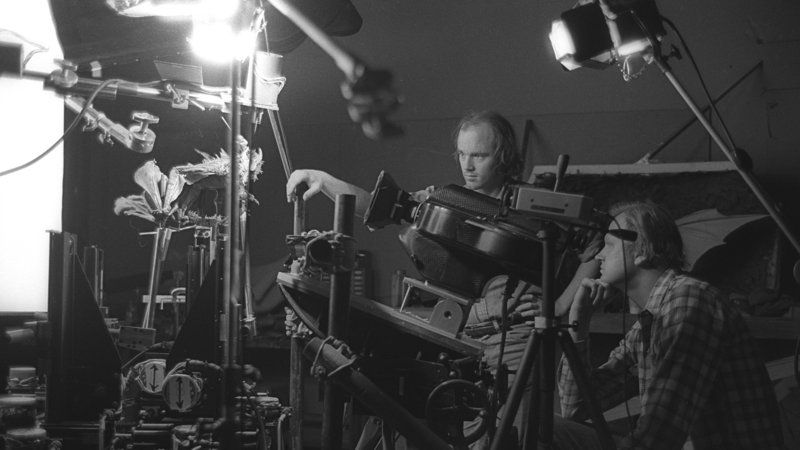 “We thought,” Barwood told Cinefex, “‘There’s a way to free ourselves from that kind of pressure and also head for a different kind of territory in terms of commercial possibilities.’ What we particularly got interested in was taking the maturing special effects technology, as seen in Close Encounters and Star Wars, and adapting that to a different kind of storytelling-dramatic venue which we liked better; and that was a fantasy idea.” Barwood and Robbins’ romantic comedy was abandoned, in favor of a diametrically opposite species of film: a dark fantasy thriller, with a terrifying dragon as its main antagonist. Vermithrax Pejorative, described as 40 feet long and with an impressive 90-foot wingspan in the script of Dragonslayer, is a relic of an ancient age. Its hunger is kept at bay with a constant supply of sacrificial virgins, selected through a lottery. As later revealed in the film, the creature’s need for food also stems from the necessity of raising its young. As the script was being written, Barwood and Robbins made the early decision to hire a creature designer that would produce dragon illustrations. Those would aid in the process of pitching the project to studios. Their choice fell on David Bunnett, a fantasy illustrator with no previous experiences in film design. The artist had previously collaborated with Janet Robbins — Matthew’s wife — in illustrating a weekly fantasy story, which featured a dragon. Bunnett was at first reluctant in becoming involved in the production of a motion picture, but eventually accepted the offer. His illustrations provided an original direction to follow for the design of Vermithrax. He also aided the two writers with the storyboarding process. Their efforts paid off: greenlight for Dragonslayer was given by Paramount Pictures. 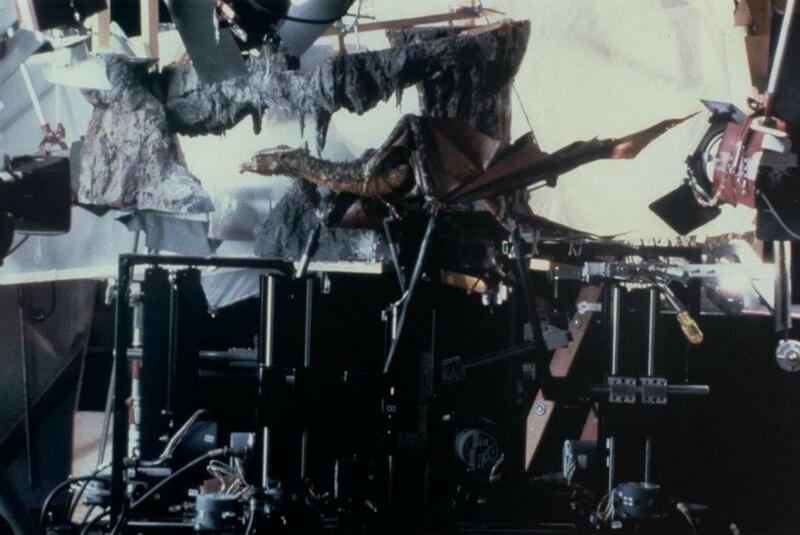 The ‘flying’ Vermithrax rod puppet, composited into a shot of the climatic battle. 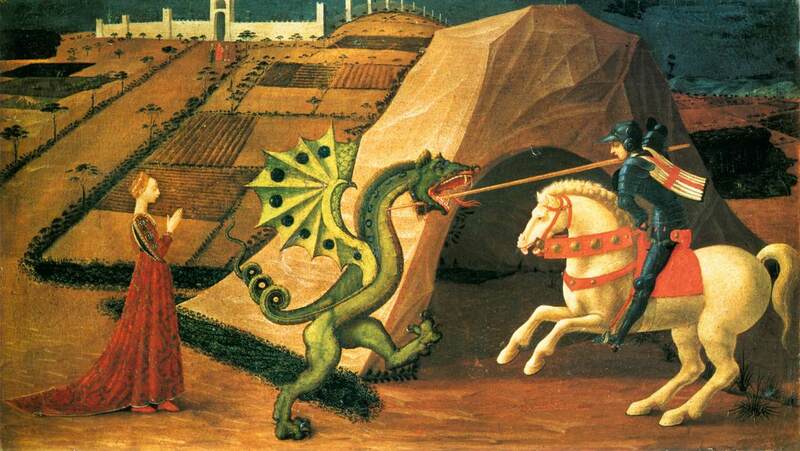 Saint George and the Dragon, by Paolo Uccello. A test shot of Chris Walas’ puppet Vermithrax head. One of the saviours of the production. 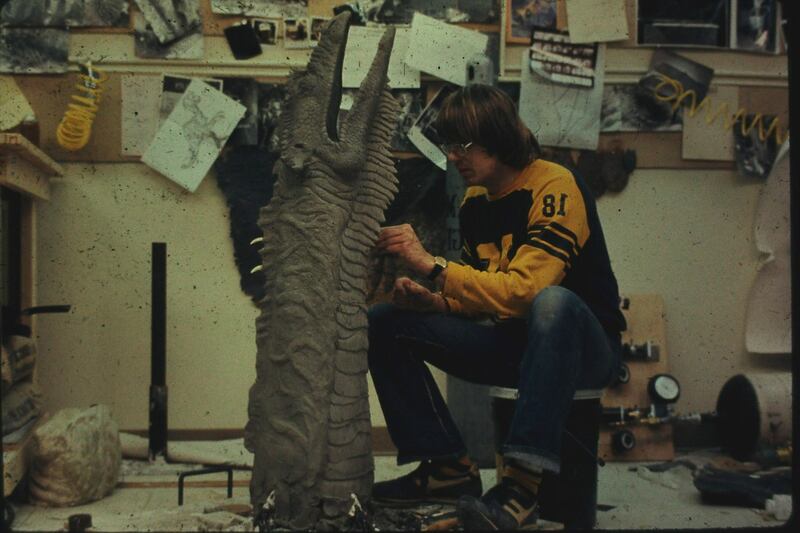 Important effects artists joined the project in fall 1979, including Brian Johnson, an Empire and Alien veteran. 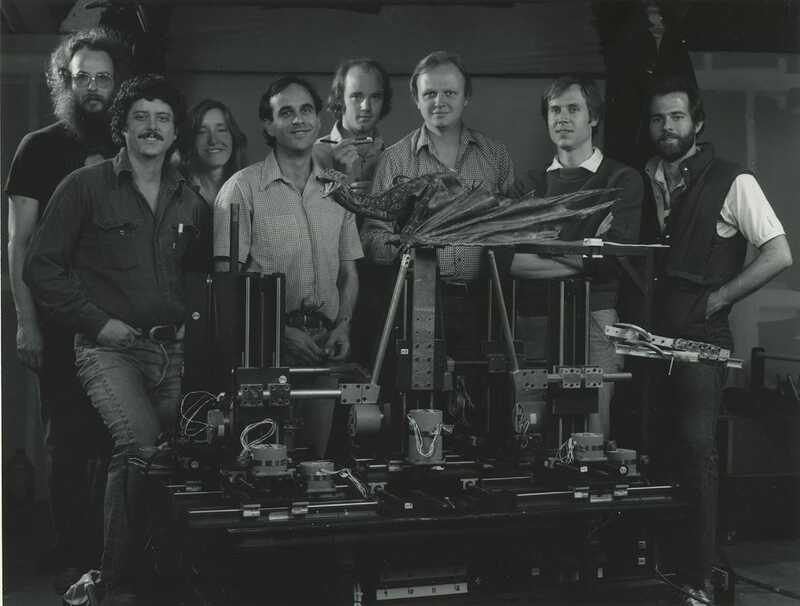 The ILM crew unit was under the supervision of Dennis Muren — and included Phil Tippett and Ken Ralston as “the key dragon effects people.” Many crewmembers spent time on both Dragonslayer and Raiders of the Lost Ark, another film produced in the same time. Shots of the original David Bunnett maquette. The wings also underwent a cosmetic change, going from a more reptilian to a more bat-influenced appearance. Bunnett continues: “the wings look like bat wings magnified ten thousand times, and it’s a good look — in fact, I think it’s excellent. But initially, I wanted to have a wing which was a little bit more reptilian. In my mind, it would be a leathery expanse that would have cartilage sort of struts or something. But the people who had to manipulate it on camera felt that that was too difficult, and by going to a bat wing type [of] design they had the obvious advantage of stiff fingery things they could stretch a membrane in-between. So you have to keep in mind the difference between design and art. In design, there are sort of irreducible problems that have to be dealt with.” Interestingly, where reptiles always have no more than five fingers, Vermithrax has six (with four supporting the wing membrane, and two used for grasping). 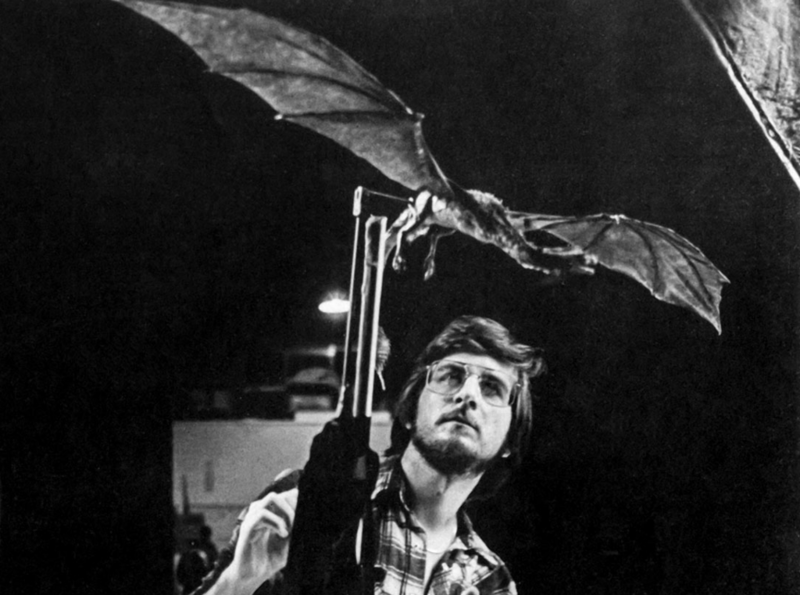 Tippett jokingly poses with one of the ‘flying’ dragon models. 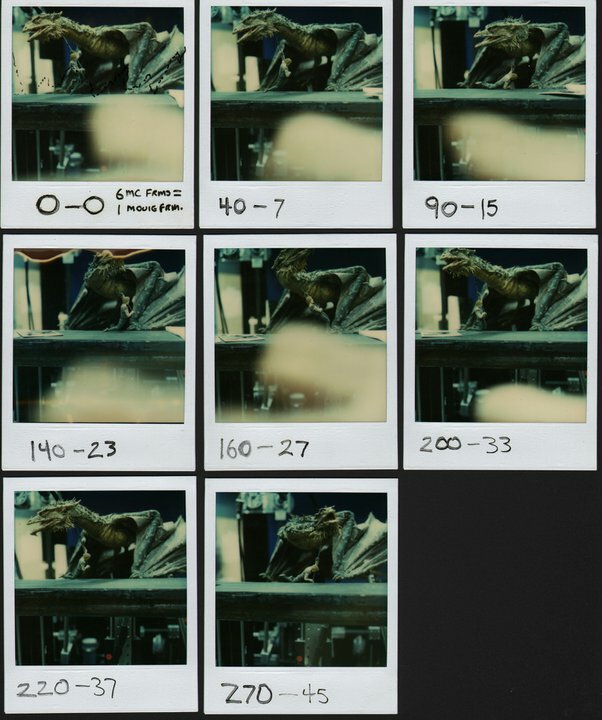 In addition, the ILM crew also designed Vermithrax’s colour scheme, which made the creature blend in its environment. Tippett recalled: “the issue of the dragon’s color wasn’t really addressed until I got to England. Amidst a hectic shooting schedule and hiring puppeteers for Ken and Jon to work with, I was lucky to pull Matt away from the set for a minute or two to confer on what colors should be used to integrate the dragon into the cave sets. 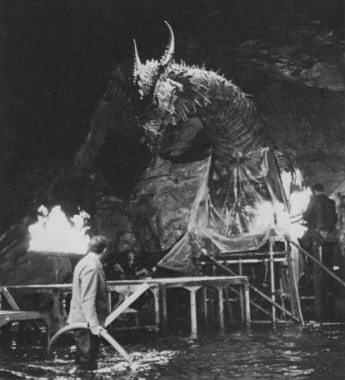 I felt it was important to make the dragon look as though it was part of its world; so I would walk to the stages, pick up handfuls of slate and rock, and then go back to the painting area and derive some similar colors.” Vermithrax’s movements were largely based on 16mm footage of lizards. Brian Johnson with the full-scale head. 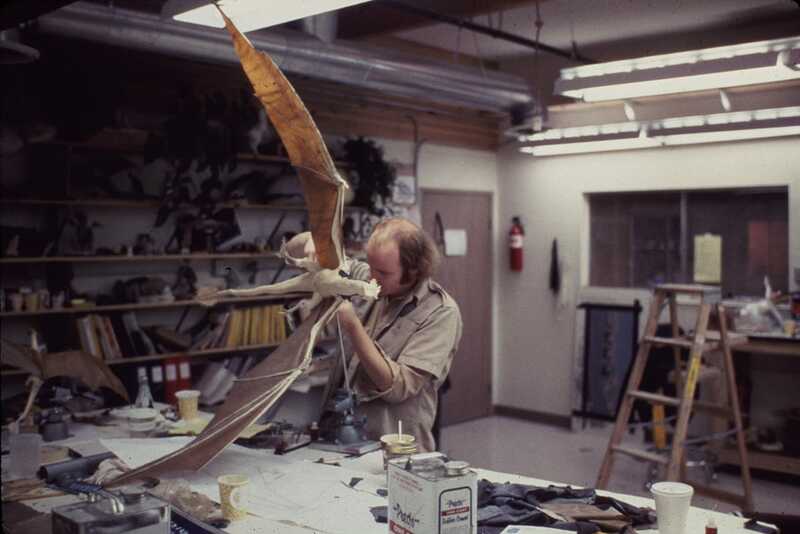 Phil Tippett, Dave Carson and Jon Berg supervised the sculpting process, in order to maintain consistency with the maquette design. A series of full-size puppets was eventually constructed, despite doubts from even Lee himself. 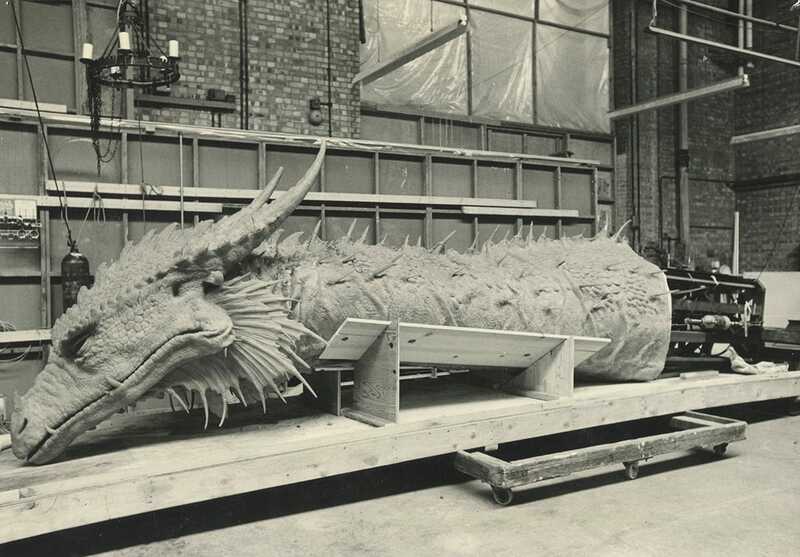 A 16-foot head and neck section of Vermithrax was built, with full neck, head, mouth, and eye movement. 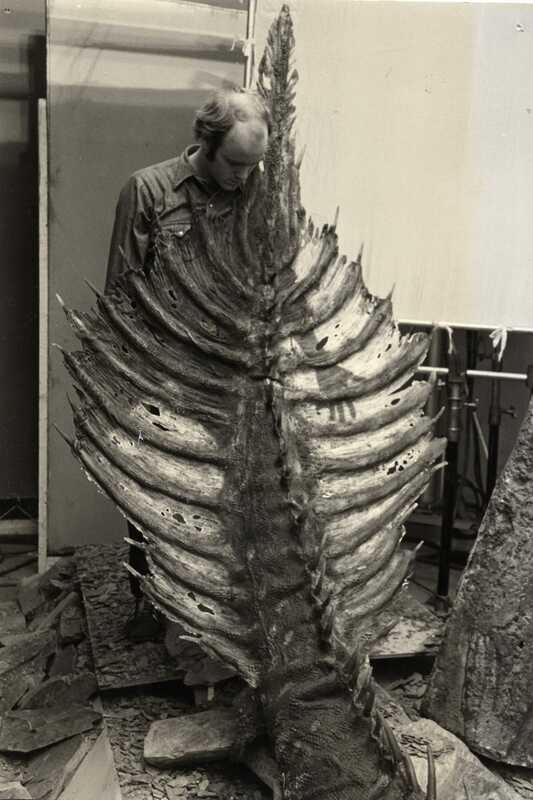 It was followed by a 30-foot wing section, which included only the arm, without the fingers and the membrane between them. 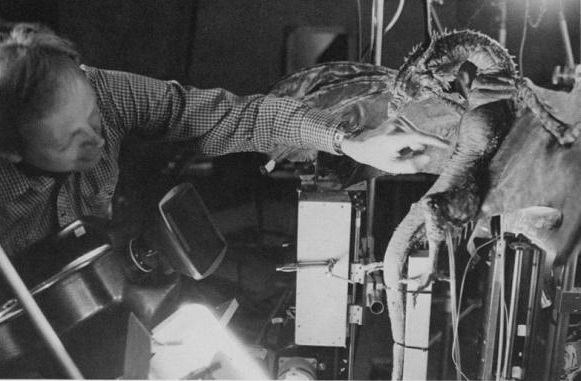 Other puppet body parts included the left leg, complete with a grasping clawed foot, a 20-foot tail section, able to perform rough serpentine movements, and a full dummy of the burned carcass of the monster, shown at the end of the film. The wing section was ultimately only used as part of this last model. The gigantic puppets needed a crane to be operated. Skin for all versions was moulded in polyurethane. Danny Lee’s team also made an additional set of spare skins for replacement during filming. Once in England, Tippett supervised the painting process of the full-size props to match the colour scheme of the small-scale puppets and maquettes. 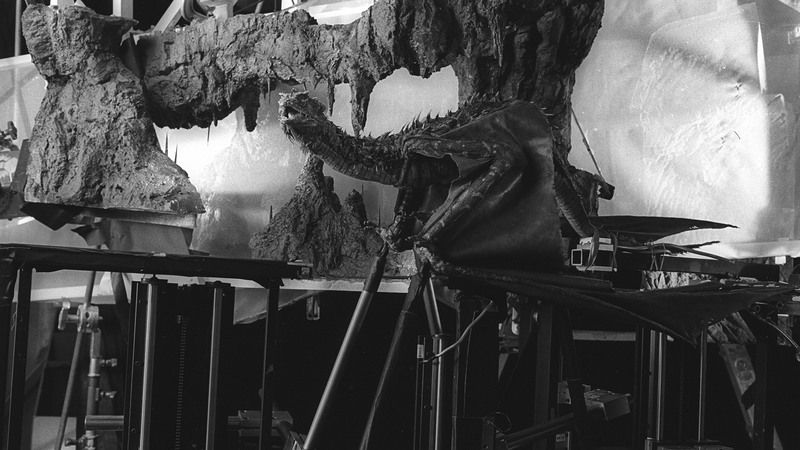 The full-size models were first filmed in the set of the exterior of the dragon’s lair, which was built in the massive ‘007’ stage of Pinewood. It was an elevated set (over 10 feet over the floor), allowing earthquake-causing mechanisms and space for the dragon’s head to rise from the ground. In the interior of the cave, the infamous ‘burning water’ was achieved with flammable gas, which was emitted underwater, and once in contact with a burning source, it simulated the flames on the water. The full-scale Vermithrax head in the lake of fire set. 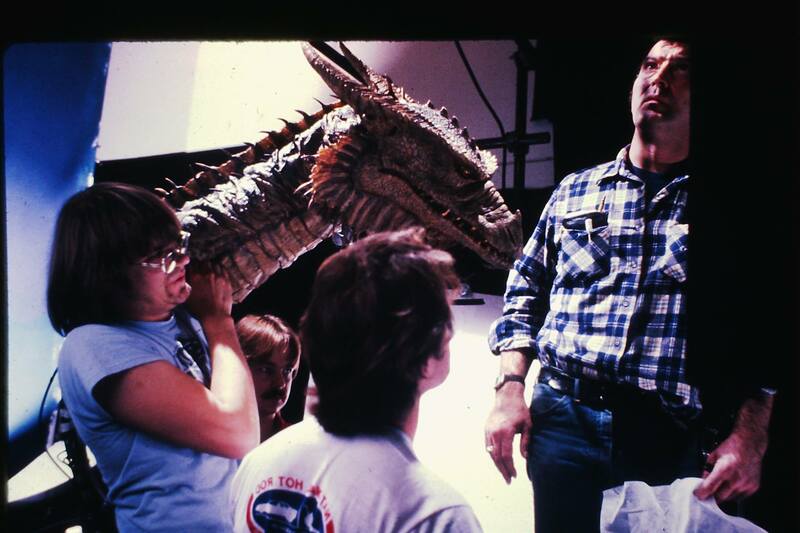 This considerable loss of production time was resolved by transferring much of the setups for full-size dragon shots to the second unit — directed by Peter MacDonald. Robbins would just have to discuss the setup with MacDonald, and come to direct when a specific sequence was ready to be shot. At this point, Robbins realized that many planned shots did not require the advanced movements the first full-size head could provide. Using the additional skins previously made by Lee’s team, a new full-size head, labeled as the ‘B’ head, was built. It had a simpler and lighter structure, and it was rigged on a teeterboard that allowed upward and downward motion. It also featured simplified mechanisms allowing slight lateral movements. The ‘B’ head proved very useful and was used in a good number of shots, including the sequences where the dragon rises behind Galen — before he turns around — and the demise of Brother Jacopus. Galen attacks Vermithrax with his spear, Sicarius Dracorum (the name is a goof, as the second term should be Draconum; the latin name is Draco, Draconis). It was at this point that Chris Walas re-proposed an idea that had been quickly disposed of in pre-production: a small-scale hand puppet. The concern of additional matte lines, compositing, as well as intercutting issues had made Matthew Robbins prefer the full-size head. Said concerns were now less pressing, and in the light of the full-size props’ failure, the hand puppet seemed an effective option. 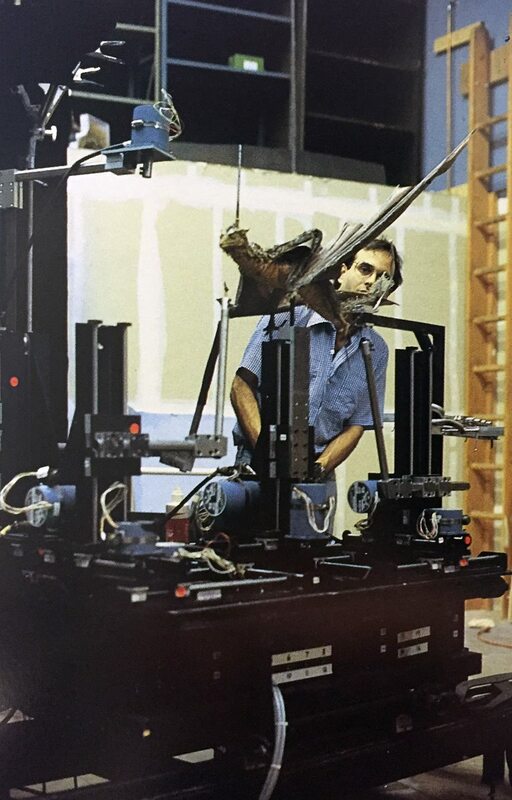 With the approval of the director, Walas went on to prove that notion; he sculpted and build the ‘close-up’ head puppet, which was shot entirely at ILM. This new creation, although with most of its functions left unused, proved indispensable for the project. 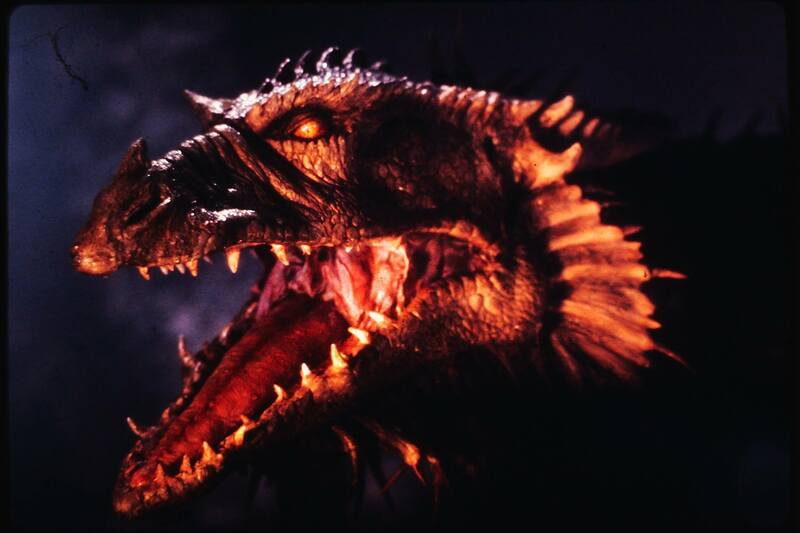 In the final cut of the film, most of the shots of Vermithrax’s head are portrayed by the hand puppet, with only a sparse amount performed by the full-size heads. Chris Walas’ Vermithrax hand puppet. The hand puppet could perform the full movement range of the full-scale head — with additional, subtler cues to its performance. Basic movements were provided by a pistol-grip control installed within the head. 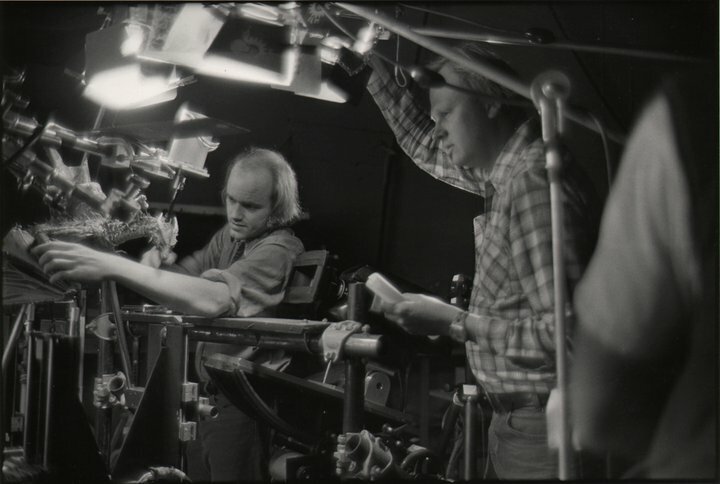 Other functions were supplied with cable-operated mechanisms, puppeteered externally by assistants — who used levers constructed by engineer Stuart Ziff. A motorcycle control handle on each lever enabled the performance of two specific functions at the same time. Chris Walas sculpts the hand puppet. “One of the things I’d thought of,” Muren recalled, “was trying to do it with muppets, where you have a rod puppet sort of thing — shot bluescreen but done live. That wouldn’t have worked either because you would have had five guys trying to make this thing look alive. They [could never] have synched up.” This technique would be experimented with a decade later, by Boss films (who would coin the label ‘Mo-Motion’) to animate the Dog Alien rod puppet in Alien³. The ILM crew, however, quickly abandoned the idea. The ‘walking’ Vermithrax rod puppet on set, rigged up in Ziff’s motion control system. The motion control mechanism consisted of several ‘units’ — each comprising of a rod system. They were attached to a central coordinator piece. Each unit was driven by three stepper motors — which, combined with a series of mechanisms, allowed the unit and its rods to move in all three dimensions. Six units controlled the dragon’s movements: one for each limb, one for the dragon’s body and one for its head and neck. This entire system was installed onto a motion control cart, which was in turn mounted on a eight-feet track. There was a total of 19 stop-motion motors, 16 of which could be under motion control at any given time. When mounted on this system, the dragon puppet would be effectively suspended in mid-air while performing. 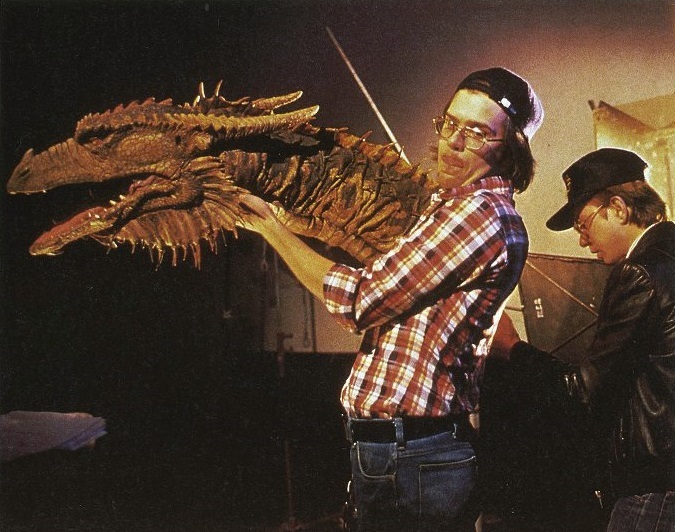 The walking Vermithrax puppet on set. Ziff built the motion control system so that it could be dismantled and reconfigured in different configurations, depending on the requirements of a shot. The internal frame of the dragon puppets — a metallic armature — featured threaded holes to connect to the puppeteering rods. In turn, the rods were attached to the motion units via a combination of other rods and clamps. This expedient provided additional flexibility and prevented the rods from colliding with each other while puppeteering the model. 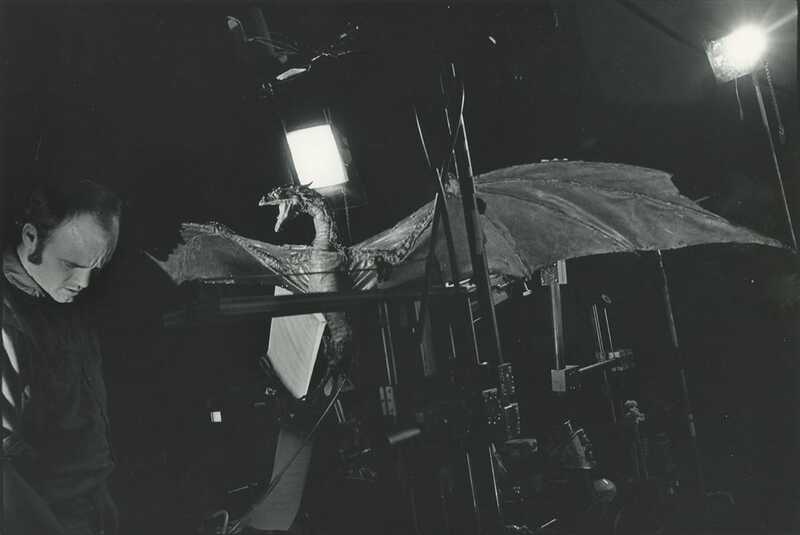 The motion control system was able to move the dragon in real-time speeds, even though the crew never needed such a function (Ziff simply wanted the most available options as possible). Using the knowledge acquired by Jon Berg and Doug Beswick during the production of The Empire Strikes Back, Tom St. Amand built the armatures. Hinges and swivels enabled Phil Tippett to lock off certain axes of movement. “If the dragon had to walk in a straight line,” St. Amand said, “obviously you wouldn’t want the legs to go cattywampus out. So with these you could lock off the joints which would make the legs do that.” Each joint was based on a simple axis swivel type of movement, barring the neck and tail — which were segmented with ball-and-socket joints. Two three-feet long armatures for the ‘walking’ dragon (with a wingspan of six feet) were made, in the possibility of needing both working at the same time. Ultimately, the second armature served only as a prototype for animation and skin covering tests. Two four-inch puppets of Galen were also built for the shots that saw both the dragon and the warrior onscreen. 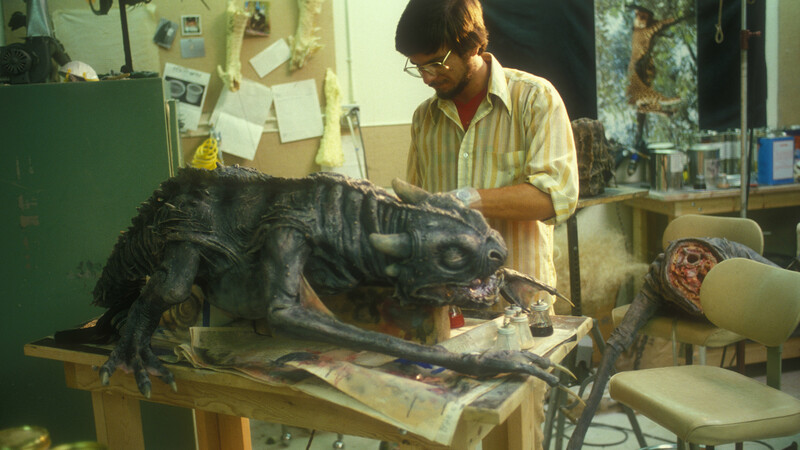 Chris Walas preliminarily sculpted the walking dragon, with finishing touches by Phil Tippett; after moulding by the former, the latter would then finalize the fabrication. Preparing the ‘walking’ dragon for filming. A shot of the ‘walking’ dragon crew. From left to right: Gary Leo, Ray Gilberti, Bess Wiley, Stuart Ziff, Phil Tippett, Dennis Muren, Dave Carson and Mike McAlister. As a result, almost all of the 20 walking dragon shots were realized with bluescreen. Once finalized, this new animation process acquired a new name. “I wanted ‘animotion’,” Ziff recalled, “so we could call the animators ‘animotors’. But that one didn’t float at all.” Eventually, this new animation technique began to be called ‘Go-Motion’. 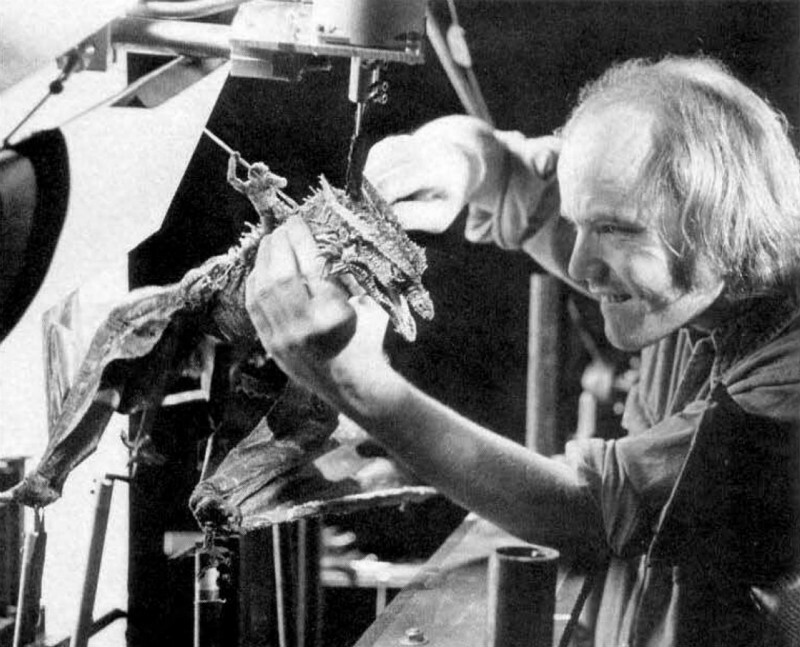 Tippett works on one of the walking Vermithrax puppets, preparing it for the fight scene with Galen (notice the Galen puppet). This expedient eased the process of hiding the animating rods, which consisted in either masking them or rotoscoping them with articulate mattes. Generally, only the dragon’s head needed the latter technique. Sometimes, the rods could even be hidden by shadows or even anatomical details of the dragon itself. Setting up the shots proved to be particularly complex. The first step was determining the basic configuration of the mover mechanism. Construction of the attaching rod systems followed. In any case, the configuration had to prevent the rods to obstacle the dragon’s movements or pass in front of its body. 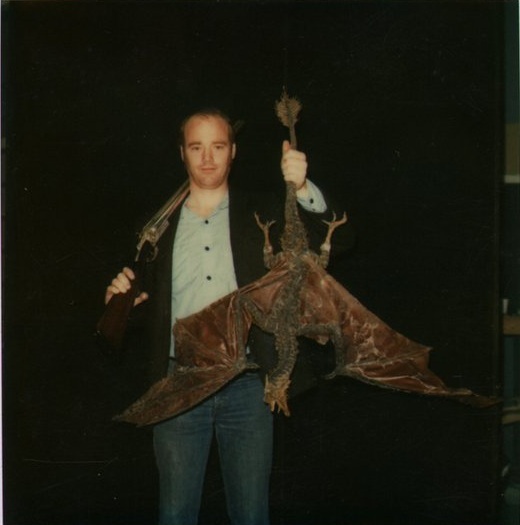 Ken Ralston was assigned the sequences where Vermithrax would fly. 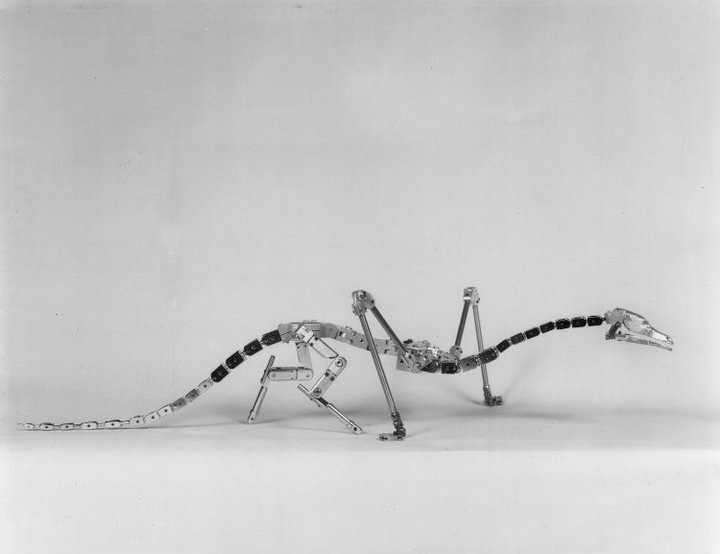 Two additional ‘flying’ dragon go-motion puppets were made, with an aluminium skeleton that enabled a wide range of motion. The varying scale of the puppets depended on the requirements of specific shots. They were maneuvered using the spaceship-type motion control techniques used for Star Wars. The ‘flying’ models were slightly smaller in scale than their ‘walking’ counterparts — and were made with ball-and-socket armatures. The larger model featured a gearbox mechanism that enabled its wings to actually flap during flight. This moved only the forearms, and as such it would still be necessary to animate the wing tips by hand. 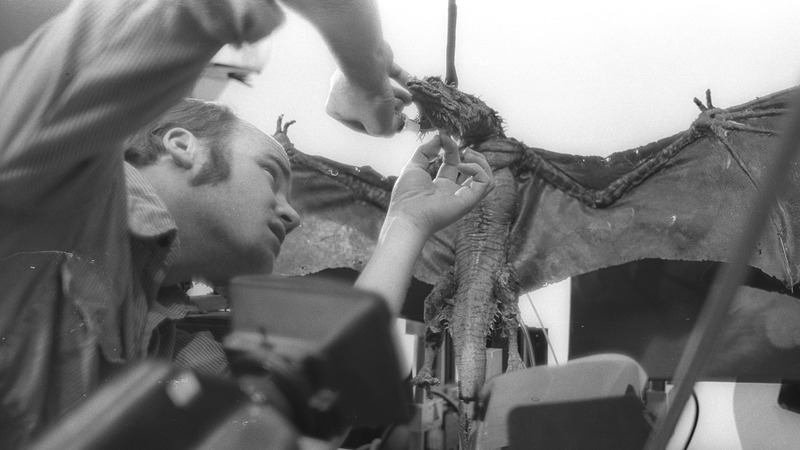 Ken Ralston checks on the flying Vermithrax puppet. 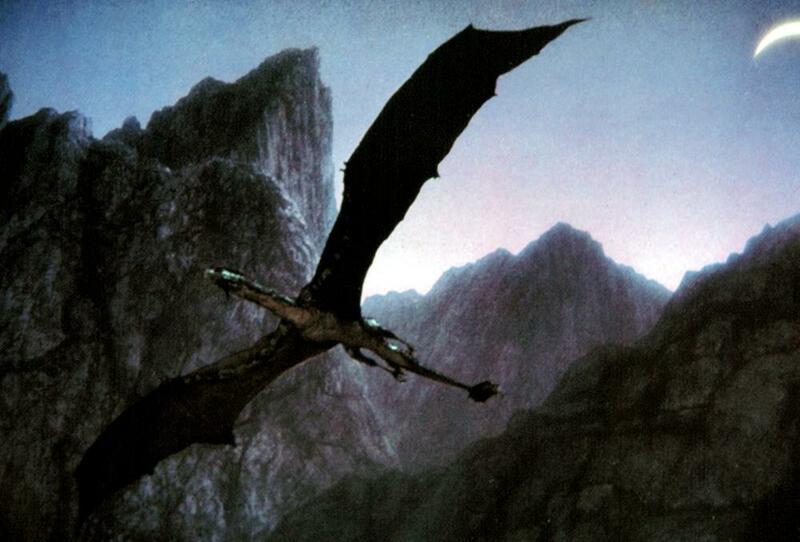 One of the ‘flying’ Vermithrax models was also featured in the only stop-motion sequence of the film — a long shot of the dragon on a rock mountain hide, writhing its wings and glaring down at the protagonists, just before the final battle. 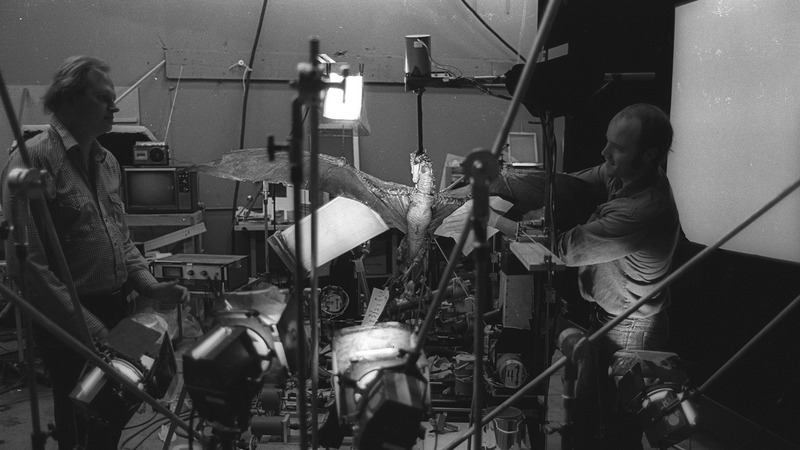 Production pressures prevented the ‘walking’ puppet to be used there, so Ralston simply animated one of the ‘flying’ dragons. 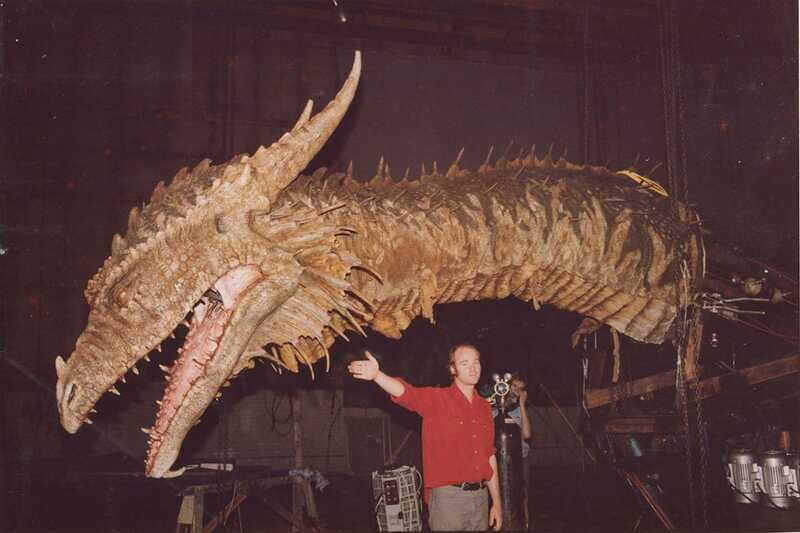 Dennis Muren checks one of the ‘flying’ Dragons before filming. Tom St. Amand eventually joined the animation process and actually animated the last ‘flying’ shots at night, after Ralston had set them up during the day. 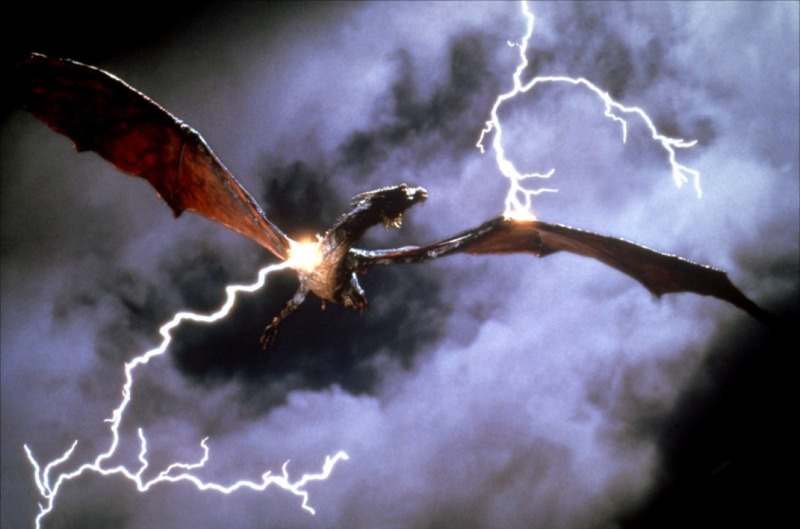 Most of the flying shots were ultimately and relatively easy to film; it was not the case, however, for the shots of the dragon falling out of the sky, covered in smoke. On stage, a descending smoke bomb (by pyrotechnician Thaine Morris) was filmed. Ralston’s task here was to match the dragon’s movement to the smoke’s. The movement was then repeated via motion control, and a small light attached to the dragon provided a ‘glowing’ chest. 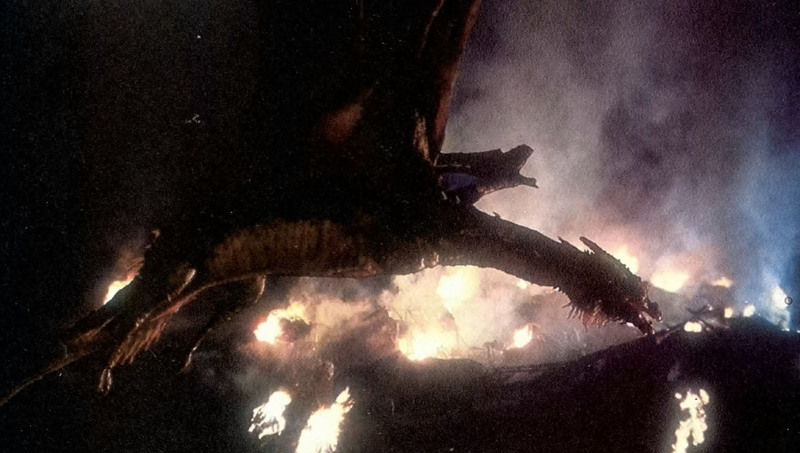 Further embers detaching and flying off of the dragon were added to the shot by Loring Doyle. 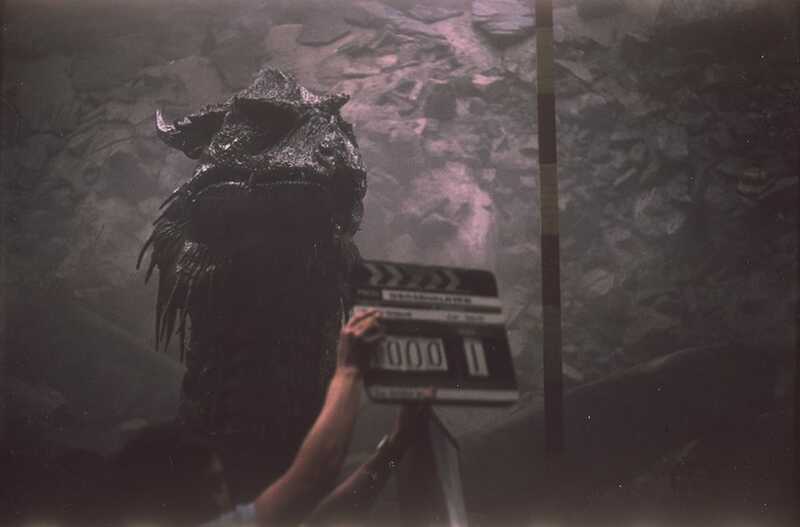 A custom back-lit fluorescent bluescreen was used for the final battle, both for the creature and actors. “It was a very complex sequence,” Muren said. “Not many films end with ten minutes of bluescreen actors in front of created backgrounds.” The background eventually ended up to be a dark sky with ‘boiling clouds’. The background plates for the cloud formations were filmed in Hawaii. Vermithrax unleashes its fiery breath. 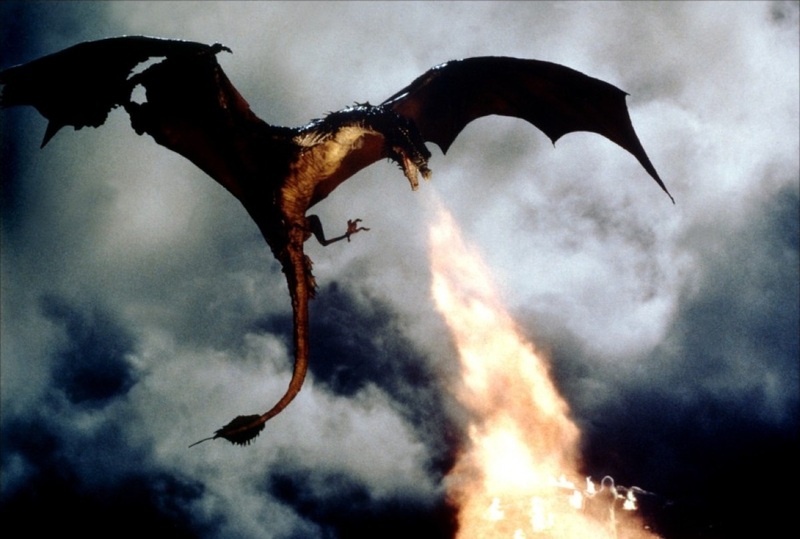 Vermithrax’s dragonfire was achieved with two flame throwers designed and built by Brian Johnson. Both used a gas under high pressure, laced with lycopodium powder; this caused the brightness and particular colour of the flames. The first, cannon-sized flame thrower was swivel-mounted; it was used in the wide shot in the Lake of Fire, and in the confrontation with Ulrich. 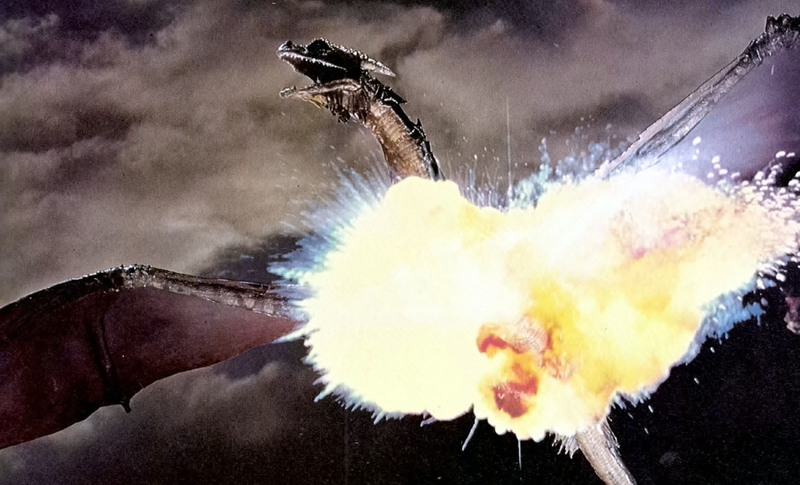 Previously, an internal incendiary system had been installed inside the full-size dragon head, and although successfully tested, it proved unsatisfying on the actual stage. 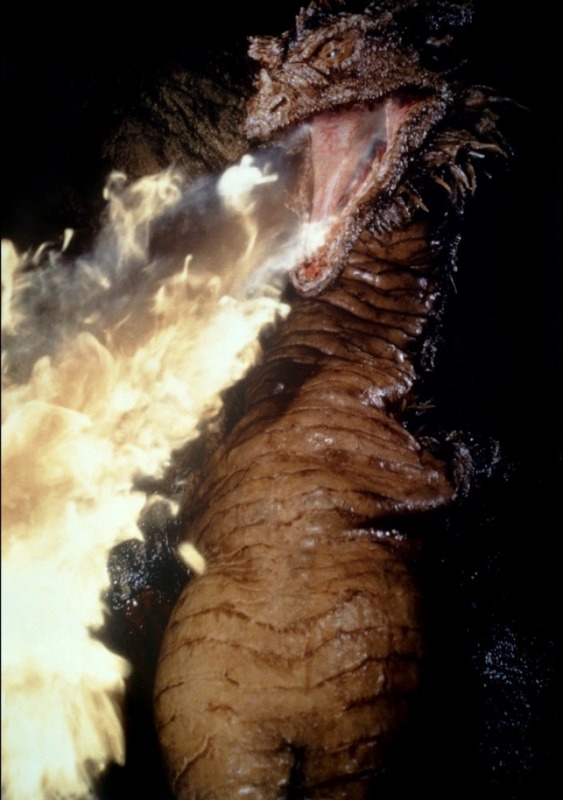 As a result, the fire was shot separately and optically composited with Vermithrax — whatever version of it — when it unleashes its fiery attack. The second flame thrower — of smaller size — was used for closer shots where the reach of the larger one was not required. 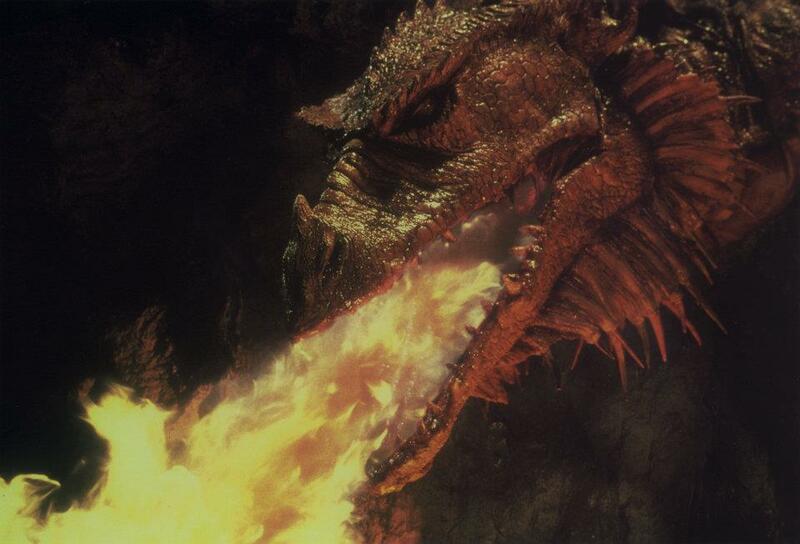 When Valerian enters the Dragon’s lair to collect shed scales, she is attacked by one of Vermithrax’s babies. The baby dragons were designed by Ken Ralston. David Bunnett kickstarted the design process; he tried to find a physical appearance that would not inspire sympathy in the viewers. This fundamental guideline was due to the fact Galen was to brutally slay the creatures, and a creature for which the audience could have had affections for would have been counter-productive for the scene. Bunnett commented on the process, saying that “the essential problem with the babies was that the baby of any species is cute and adorable.” Some designs were finalized but discarded. Bunnett continues: “we had one that looked like an eagle chick — tiny little flappy wings. You couldn’t even use it on Saturday morning television it was so cute.” Bunnett identified large eyes as a key design element to achieve empathy from the audience; thus, the dragonettes should go in the opposite direction and be endowed with small eyes. Ken Ralston then designed the final appearance, infusing “a lot of bulldog and bat in the face.” He also included ‘reverse-engineered’ details that would later grow and develop in the adult stage: a rudimentary horn on the snout, a small tail, and long arms with still undeveloped membrane. 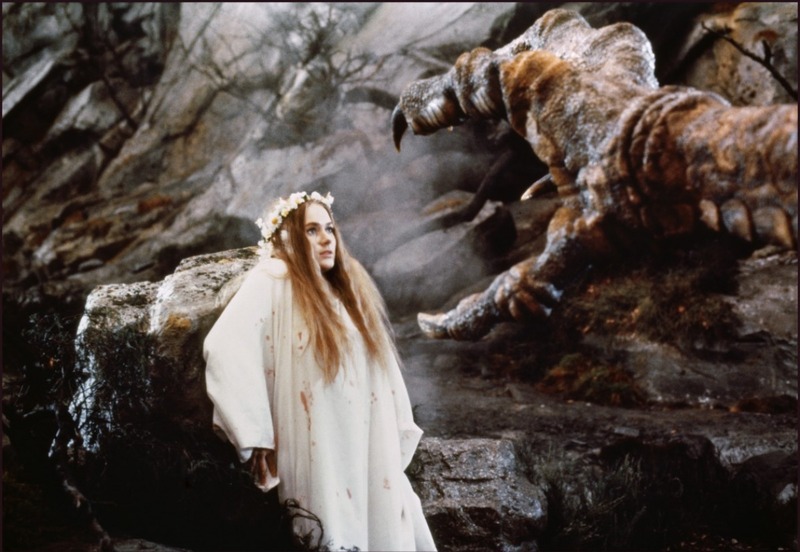 The three babies were created as full-sized puppets by Ken Ralston, Chris Walas and David Carson, in addition to the single, featureless miniature model used for the scene where Vermithrax realizes its progeny is dead. One of them was to be decapitated and featured separated head and body parts that could be easily cut apart. 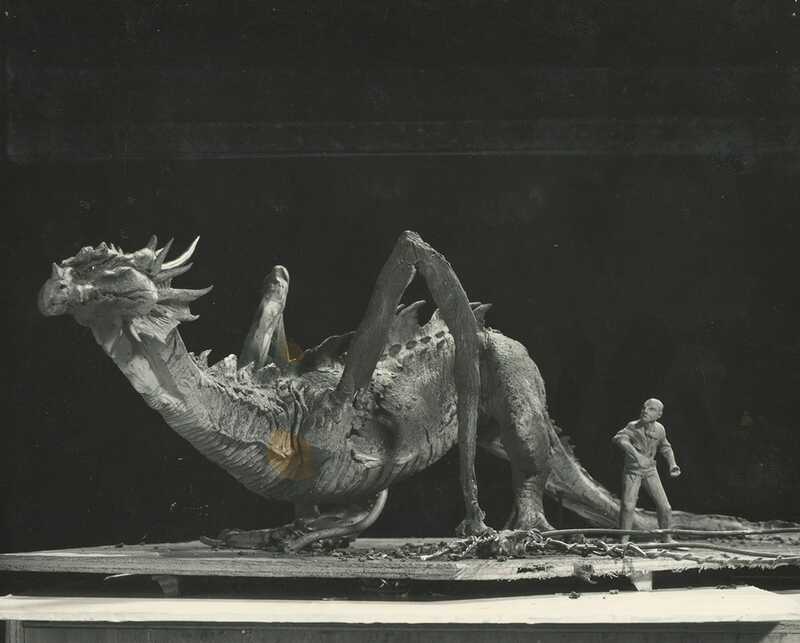 Once on set, the full-sized dragonettes were operated from beneath, through holes in the floor of the cave set. The puppeteers were provided with monitors that allowed them to watch the movements of their puppets. The puppeteers had to stand to the fake blood and KY jelly (used to make the creatures’ skin glisten) dripping through the holes. Building the Baby Vermithrax puppets. Special thanks to Chris Walas for providing some great insight for this article! For more pictures of Vermithrax and its progeny, visit the Monster Gallery. Posted on 14/04/2013, in Movie Monsters and tagged Chris Walas, Dave Bunnett, Dragon, Dragonslayer, Phil Tippett, Vermithrax. Bookmark the permalink. 16 Comments. Magnificent article. 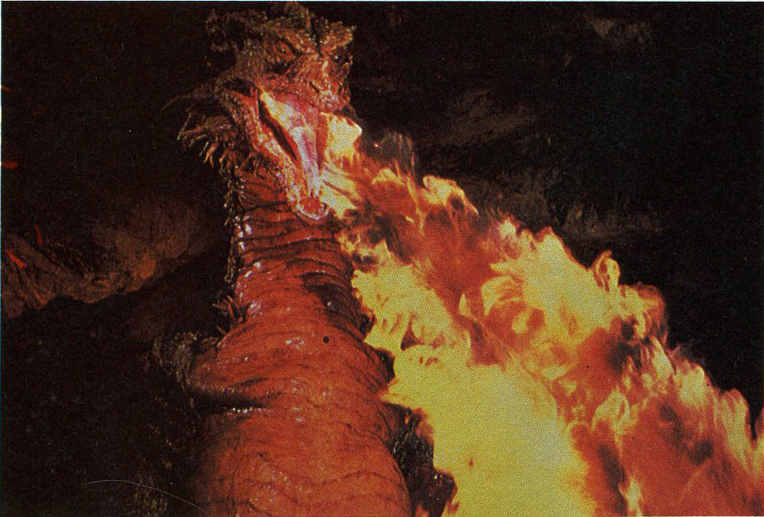 Vermithrax is definitely the best dragon ever seen on screen. 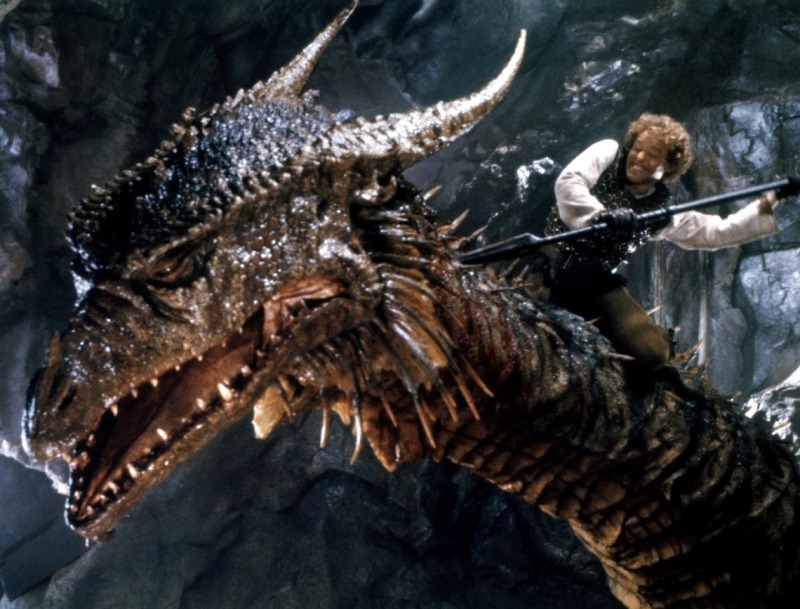 I doubt even Peter Jackson’s Smaug will be able to surpass it. Please, have a look at my tributes to Movie monsters (dailymotion.com/video/xymndn_monsters-aliens-and-other-foul-creatures-movie-montage_shortfilms) and Dragons (dailymotion.com/video/xx3t16_dragons-fantastic-creatures-movie-montage_shortfilms). It is quite the honour to have a comment from you in my Blog! Thank you for the kind words. I have always been an enormous enthusiast of your ‘Movie Monsters’ montage, it is probably my most-watched Youtube video of all time. I was delighted when you released the ‘2.0’ version (with the Moorwen and the ‘Cabin’ Monsters, no less). Your ‘Dragon’ tribute is also incredibly cool, just checked it out. 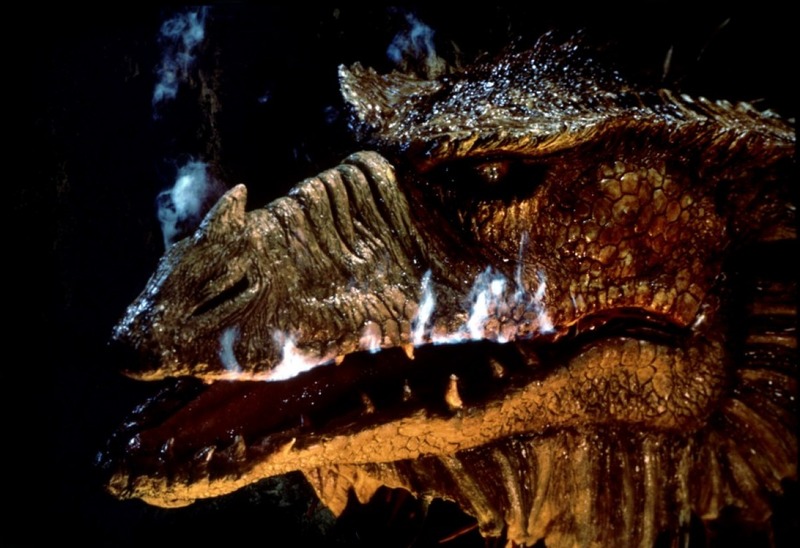 Love the ‘Reign of Fire’ Dragons, Vermithrax and Draco — my favourite movie Dragons. The ‘Beowulf’ Dragon was also about the only thing I liked out of that film. 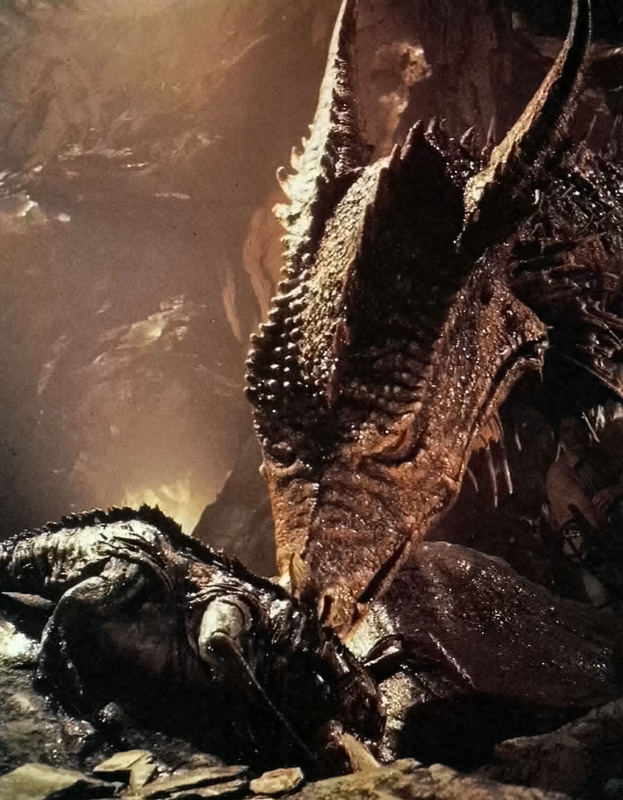 In regards to Smaug, I suspect he will look very crocodilian in appearence, given Weta’s record of reptilian designs (the Fell Beast, the Vastatosaurus, the Foetodon, etc.). I don’t think he will top any of my favourites, but nonetheless I expect him to earn the epithet of ‘magnificent’ — as he is described in the novel. I will spotlight your two videos in a post in a moment. The honour is mine, to know that a monster expert enjoyed my movie monsters montage. 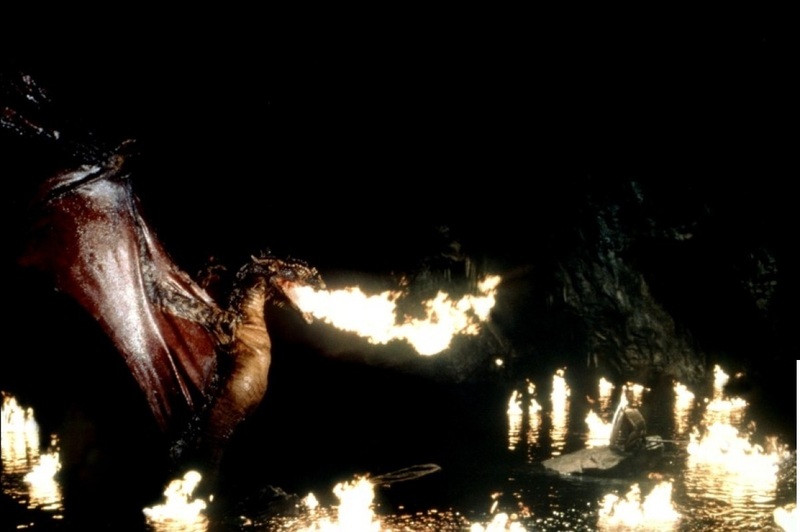 The Reign of Fire dragons are great too, you can see the designers took some inspiration from Vermithrax and they really made an effort with the visual effects, very very good. Clara, that’s nice (I have to mention — I commented on your ‘Monsters’ montage as Omegamorph, on Youtube, some time ago). Thank you again for the kind words! I am a mere amateur. I discovered some films like ‘End of Days’ thanks to your video. 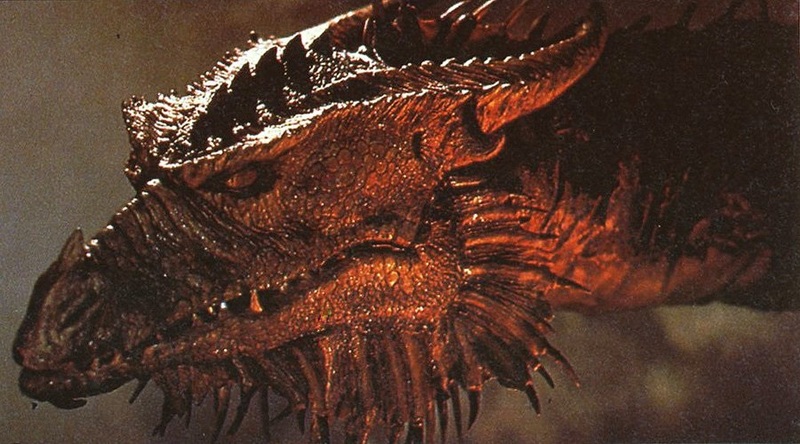 Yes indeed, the ‘Reign of Fire’ Dragons took some cues from Vermithrax — mainly if you look at the eyebrow area, which leads to the horns in a quite similar fashion. And I absolutely agree, the visual effects were (fire) breath-taking! I hope I can write something on the subject soon. 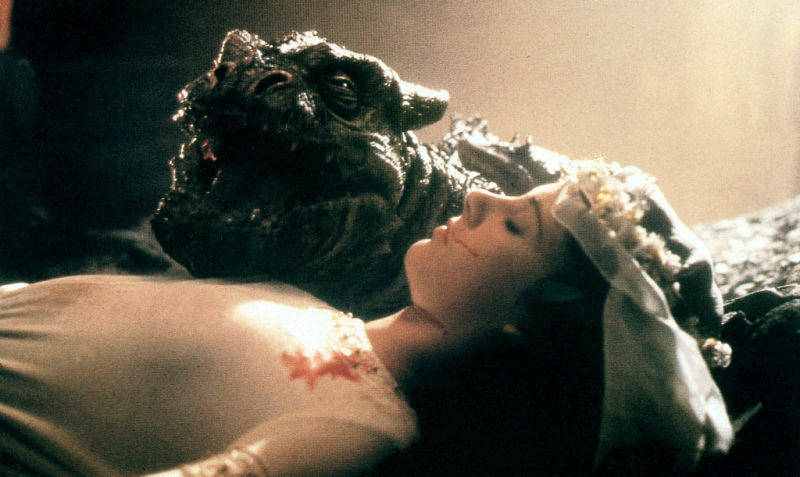 VP ranks as high as one of my favorite onscreen dragons (other than Smaug and Draco). it still amuses me that this colossal flying beast was the product of Disney. A fine piece of animatronics and pyrotechnics. Not that big a fan of the movie itself, but this character was certainly memorable.